Gladys was born in Nottingham. She worked in Munitions at the Raleigh Factory during World War 2, examining and checking shell caps. Like most cities, Nottingham was heavily bombed. 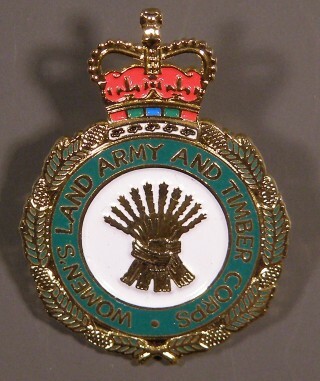 After the war there was a shortage of manpower on the land, as the Armed Forces were still abroad. 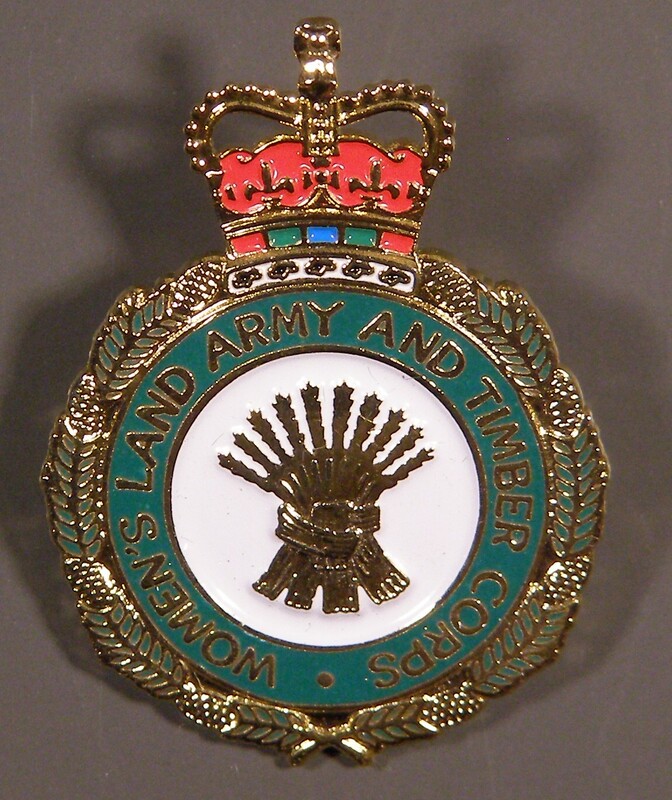 Gladys joined the Land Army in 1946. She was stationed in a hostel on Tithby Road in Bingham, with about 40 women, in bunk bed accommodation, for two years. Every day, she would bike to Millington’s farm, near Bottesford on the A52 and other farms within an 8 miles radius, and return to the hostel at night. The other farms included Bill Burrows, Ginger Goodson, Pearsons and farms in East Bridgford and Bingham. Millington’s farm had no water supply and water was delivered to the farm weekly. There was also no electricity and light was provided by big oil lamps. Definitely not a 9-5 job, especially at Harvest time! Her work included helping with the harvesting, thrashing, hoeing, market gardening and muck spreading. It was very hard work, but Gladys thoroughly enjoyed it. She met her future husband, Frank, on Millington’s farm, and they eventually married in 1948, whilst Gladys was still in the Land Army, and settled in Bottesford. Gladys’s grandson Mark is working in the RAF, based in Staffordshire; He is currently on a tour of duty in the Faulklands, where it is snowing in August! 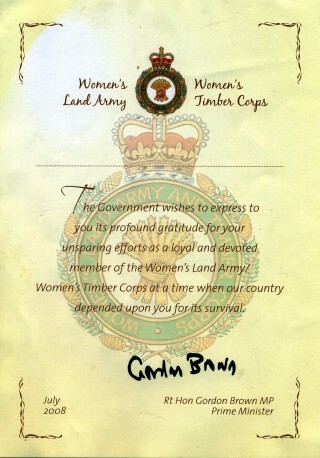 Gladys has now received a certificate from the Prime Minister and a medal in recognition of her contribution. A genealogical account of the Marston family in Bottesford, including Frank’s father Arthur’s WW1 military service was added in November 2018 (link).